See the opening hours of stores on store-specific pages. Please note that the opening hours of the stores might differ from usual. Please check the store-specific opening hours from the stores. There are approximately 70 parking spaces for customers at street level on the western side of the shopping center at Biologinkuja. 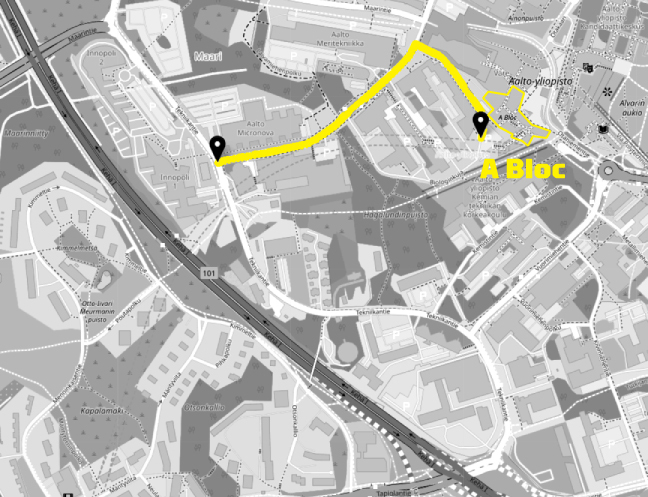 You can drive to the parking spaces from Ring Road I (from the direction of Keilaniemi or northern Tapiola) by turning to Tekniikantie and then to Tietotie. From Tietotie turn right to the back side of the shopping center just before the Maarintie crossing. Parking is free of charge. There are many frame-mounted bicycle parking racks close to both main entrances of A Bloc. There is also a city bike station approximately 50 meters from the shopping center. The bottle recycling point and Otto ATM are located on floor 1 of the shopping center. Customer toilets are located on floor 2 of the shopping center. In the shopping center, there is a 12 m² pop-up space that is rented out for changing entrepreneurs and experimental concepts. 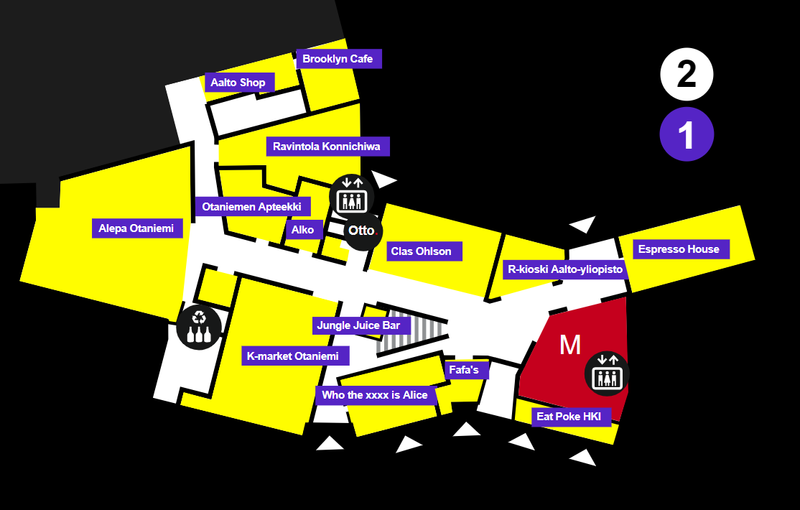 The space is located along the main passage by the second entrance from the Korkeakouluaukio, next to Alko. Due to its central location and glass walls, the space offers good visibility in the center. The pop-up is rented out from 2 weeks to 2 months. Did you get interested? Contact us at abloc (at) aalto.fi and we are happy to tell you more! 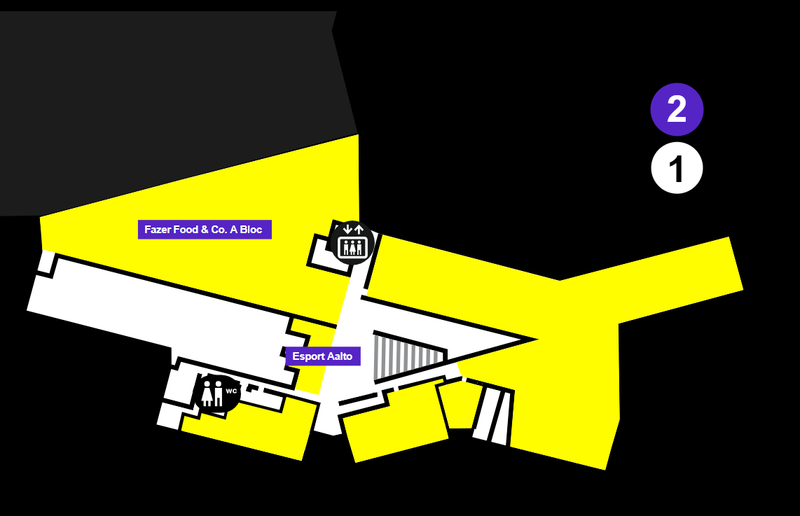 A Bloc is located on the campus of Aalto University. The shopping center’s unique location at the heart of an innovation university enables new forms of co-operation when developing the center. 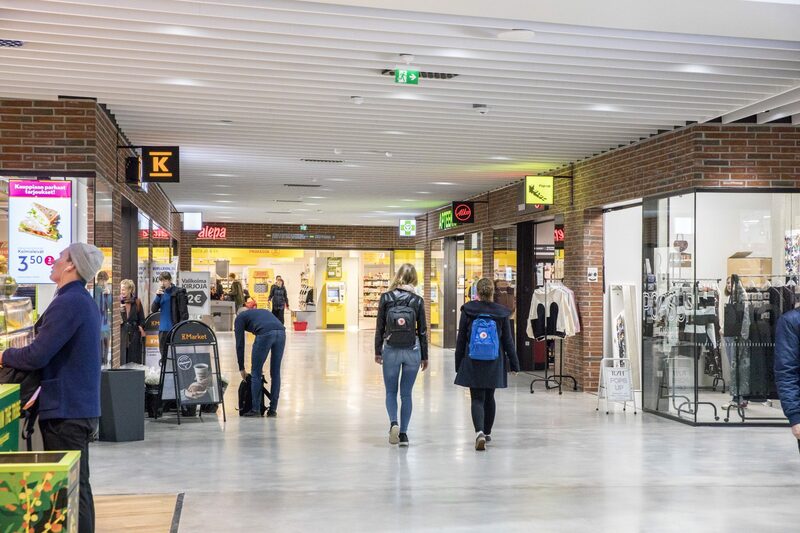 In the future A Bloc will develop different kinds of retail concepts and new ways of thinking within the shopping center industry together with the retailers, students and the university community. Aalto University is a multidisciplinary community where science and art meet technology and business. We are committed to identifying and solving grand societal challenges and building an innovative future. Aalto University has six schools with nearly 20 000 students and 4 000 employees, 386 of whom are Professors. There is a wide variety of Bachelor’s and Master’s Degrees awarded at Aalto University, and we also offer doctoral programmes in all the fields of study. Aalto University was founded in 2010 as Helsinki University of Technology, the Helsinki School of Economics and the University of Art and Design Helsinki were merged. The main campus is located in Otaniemi in Espoo, Finland.